Advanced Filtration Concepts - Barnes International, Inc.  In 1989, Advanced Filtration Concepts, Inc. (AFC) was founded as a division of Hallco Fabricators, Louisville, KY by Frank Croket, who was the former Sales VP of Hydromation Co. USA (Division of Amsted Industries) and of Hydromation European offices, initially developing and supporting Coolant Filtration Systems for Automotive, Heavy Machinery, Metal-working and Steel Industries. AFC entered in to a licensed agreement with Mannesmann-Demag-Sach, Gmbh (MDS) for North American support and supply of MDS Filtration Products including Pressure Filters, Bar Type Magnetic Separators, Pre-coat Filters and other MDS Filtration Technology. AFC also entered in to a joint-venture with the filtration division of Noritake LTD (Japan) as the North American manufacturer of Plate Type Magnetic Separators, and other equipment. In 1990, AFC moved from its original Hallco location to its brand new manufacturing facility across town in Louisville, KY. 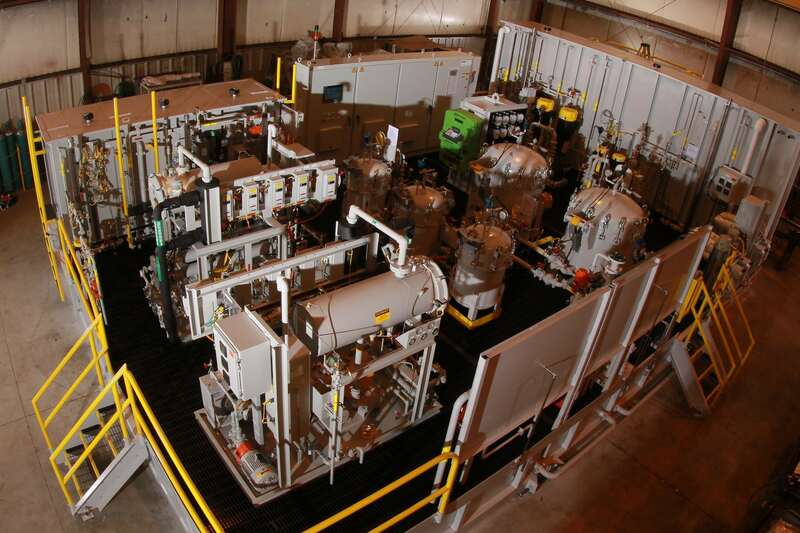 Through its automotive relationships, AFC developed and improved Filtration Systems for Transmission and Engine Test Stands (Hot Oil Systems). Primary customers were in the Automotive, Bearing and Steel industries such as Ford Motor Company, General Motors, Chrysler Corporation, Toyota, NTN Bearing and NTN Driveshaft, Eaton Corporation, Caterpillar, US Steel and AK Steel. In 1998, AFC was sold to Mann+Hummel, Gmbh (M+H), thus becoming M+H/AFC. In 2001, M+H expanded the AFC plant and offices by nearly quadruple, installed one of the largest paint booths east of the Mississippi, became ISO 9000 and 140001 certified, and achieved the Ford Motor Company Q1 status. As the steel market declined in the U.S., M+H/AFC turned its focus on new markets such as medical and aerospace and other OEM’s including such customers as Stanley Tools, Stryker Corporation, GE Aircraft & Gas Turbine, Pratt & Whitney, and Solar Turbines; and continued strong support for General Motors, Ford, Daimler-Chrysler and Toyota. In December, 2009, AFC intellectual properties, trademarks and customer support (Replacement Parts Interests) were purchased by Barnes International, Inc., Rockford IL. AFC, Division of Barnes International, continues to support its existing customer base as well as developing new relationships from its current Sales and Engineering office location in New Albany, Indiana. 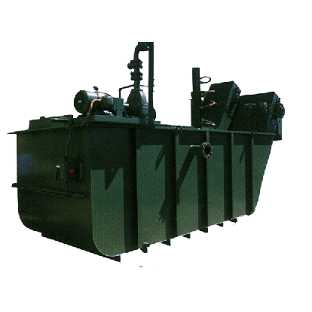 Automatic flat bed media pressure filter. 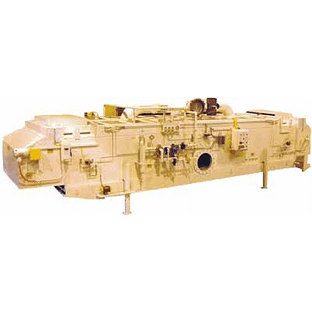 Provides efficient filtration with excellent coolant clarity and dry sludge discharge. Available with either permanent or disposable media. Uses powerful permanent magnets encased in stainless steel tubes which are very effective for separation of magnetic fines from liquids in the high and low micron size range. Due to the low velocity of the liquid flowing through a densely concentrated magnetic field, very fine magnetic particulates can be removed. Similar to the Bar Chain-type Magnetic Separator, The PlateMag Magnetic Separator effectively removes magnetic fines. 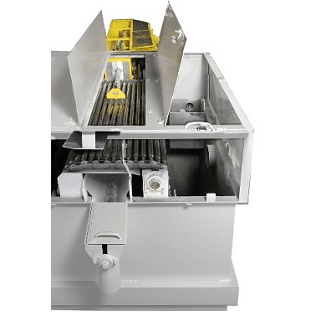 The plate-type units can handle larger concentrations of fines and are suitable for applications ranging from the fine grinding of steel and cast iron to cast iron machining and steel machining. A complete automatic cycling Pre-Coat filtration system consists of the Pre-Coat filter vessel, a patented slurry feeder for mixing and storing the pre-coat material, a recovery vacuum filter secondary recovery filter to concentrate and remove the dirt loaded pre-coat powder after each filtration cycle, and a main system liquid reservoir. Oil Processing Systems are used for continuous supply of Automatic Transmission Fluid for transmission test stands, or for Hot oil supply to engine fill stands. The system receives clean fluid from storage tank, as well as excess return fluid from the test stands and repair stands. There are normally two process loops – Clean supply to test stands and reclaiming fluid from transmissions that have been torn down for inspection.